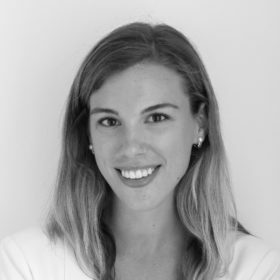 Helen is a senior associate at Hamilton Place Strategies. She helps various clients develop communications strategies and achieve public policy objectives related to finance and economic innovation. Before joining HPS, Helen worked at Merrill Lynch’s Global Wealth Management division where she helped financial advisors implement a streamlined system to generate client reports. Previously Helen spent time on Capitol Hill as an intern in Senator John Boozman’s office. She corresponded with constituents, assisted with legislative research, and briefed staffers on relevant committee hearings. Helen also interned at the Arkansas Economic Development Institute. Her work focused on utilizing the Human Development Index to assess the relative quality of life in each county across the United States. Helen is originally from Little Rock, Arkansas and graduated from the University of Notre Dame with a B.A. in International Economics with a concentration in Spanish.